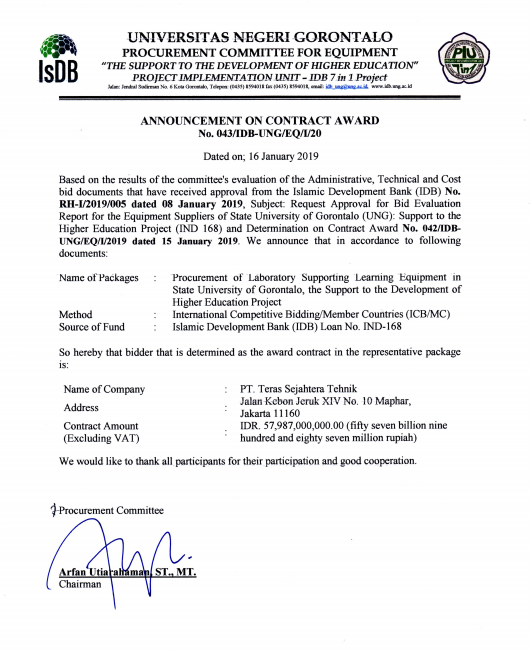 Universitas Negeri Gorontalo was developed by wider mandate of IKIP Negeri Gorontalo. 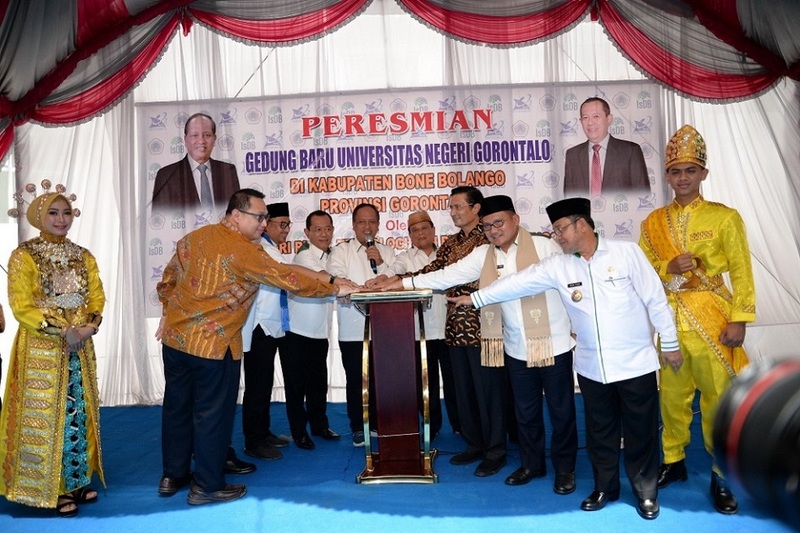 The establishment of universitas negeri gorontalo was started from junior college fkip of universitas sulawesi utara-tengah (UNSULUTTENG) manado in gorontalo on the 22nd of june in 1963. It was developed to become branch of FKIP UNSULUTTENG on the 11th of july in 1963. Furthermore, it was developed to become IKIP Manado (Gorontalo branch) on the 18th of june in 1965 and it was transformed to be FKIP UNSRAT on the 7th of september in 1982. It was precisely developed on the 16th of january in 1993 to become Sekolah Tinggi Keguruan Ilmu Pendidikan (STKIP) Gorontalo. On the 5th of february in 2001, it was developed to be IKIP negeri gorontalo. 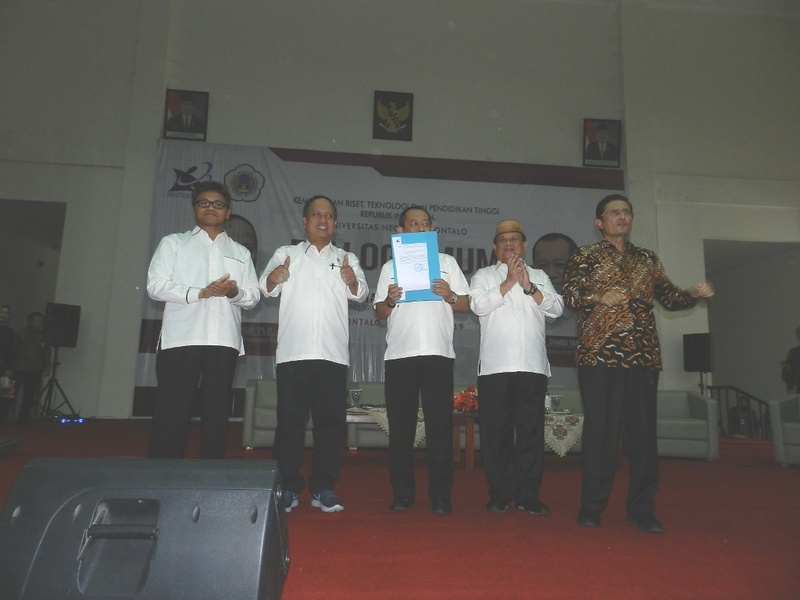 It was eventually developed to become Universitas Negeri Gorontalo on the 23rd of june in 2004 as corresponding to surat keputusan Presiden RI No. 54 in 2004. The anniversary of UNG was claimed to be equal to FKIP UNSULUTTENG of gorontalo on the 1st of september in 1963 as stated in surat keputusan menteri PTIP No. 67, 1963 on the 11th of july 1963.